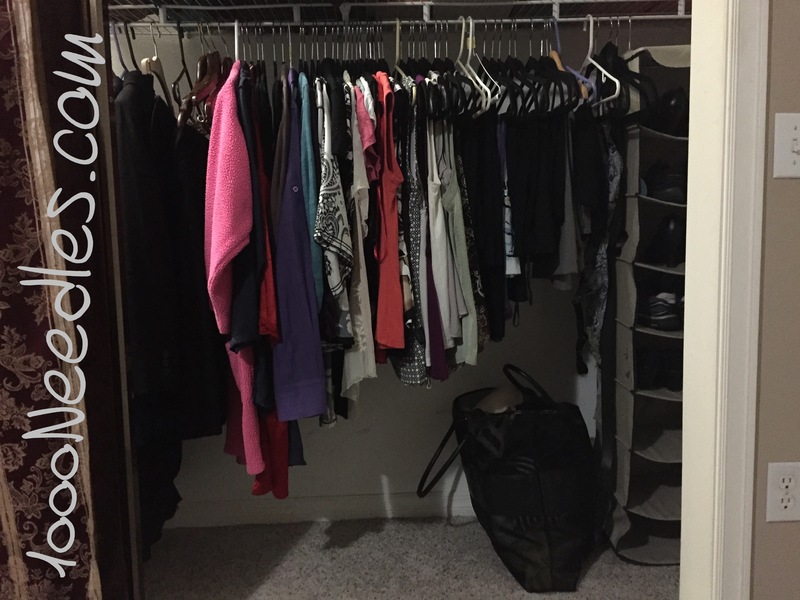 My closet floor is clear again and the bag of clothes in my room is gone. I went through all the clothes I kept and in the end I only kept 2 items of sentimental value. Everything else is ready to be donated. In addition, I bought a shirt from the Lobster Fest and decided to get rid of a shirt before it could be added to my drawer. I ended up donating 2 more shirts from my drawer. They didn’t add inspiration and I didn’t enjoy them anymore. To my astonishment my office is clean as well. The book I’ve been listening to is “The Life Changing Magic of Tidying Up” by Marie Kondo. There are so many tips I’ve gleaned from it. I think this is one of those books that I’ll be listening too periodically when I get stuck in a rut and I’m not sure what next to work on. I started cleaning out my purse after work every day. My purse is usually filled with receipts and bits of things and just a lot of junk. So for the last few days after work, I’ve been following a routine – put away whatever I’ve brought in from the car, empty my purse, put everything back in its place (inside the purse) and usually I’ll have little bits – receipts to file, trash, stuff to add to my calendar, mail, etc. It takes about 15 minutes to take care of. Then I put my purse in its place for the night. I clear off my desk. I spend 15-30 minutes clearing it off and eventually I’d like to work on that drawer of stuff that I have (as mentioned in this previous post). I really should just go through the items at one time and get it over with but I haven’t found the time to do that. Maybe I’ll be able to get to it this weekend. I’m enjoying these posts. I read that book, too. I’m not doing most of her suggestions, but her method of folding clothes has changed my life! I’m impressed! You are setting up routines to help you keep things organized after you get them there! Thank you Susan! I’m trying.